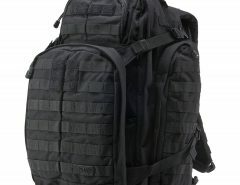 There are a TON of articles related to what you should include on a Bug Out Bag Checklist. The information I have compiled here was gathered through common questions found in multiple survivalist blogs, forums, and websites. 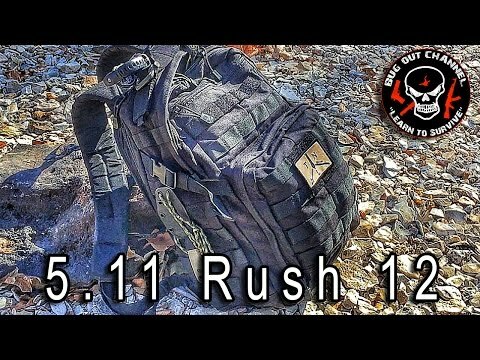 In this video, a youtuber I really like goes over his urban bug-out-bag. I suggest you watch it as this particular youtuber is one of my favorites and he does a great job with everything he does. On the flip side, “What Items are Frequently Forgotten on the Bug Out Bag Checklist”? There were many answers to this question but I am going to center the focus around the top 5 most frequently seen survival gear and items that were left out of bug out bags and forgotten on the list. 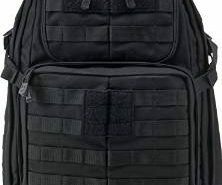 My favorite survival backpacks are made by 5.11 Tacitcal. You don’t have to pay yfull price for these bags, they can be fairly expensive but try this page for 5.11 coupon codes. 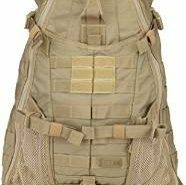 This tops the forgotten items on a bug out bag checklist because of its importance and because of how light weight these items can be. Even in an over packed bug out bag, you can still afford to include a 1oz tube of anti-fungal cream. If you find yourself on foot and bugging out across land, then taking care of your feet is as important as the tires on your car. During the world wars it is estimated that more than 23,000 soldiers died from trench rot alone. Trench rot is one of many “immersion foot syndromes” that can attack the feet in prolonged damp, unsanitary, and cold conditions. Unlike frostbite, it does not take freezing temperatures to set in. Your ability to walk can become impaired in as few as 13 hours and in temperatures of 60 degrees. Protecting your feet in a survival situation is very important as your ability to, walk, run, climb or do anything with your feet is essential to your survival. With something as important as your ability to keep your feet, a 1oz tube of anti-fungal cream and a small container of talcum or related powder is an item you do not want to forget on your bug out bag checklist. Bugs are pesky at the best of times… but they can be deadly in the worst. Avoiding their bites and stings can be critical in a time of survival. The risk of infection and the spread of sickness under normal circumstances shouldn’t be taken lightly, but are down right life threatening during a time of survival with potential shortages of medication and situations of exposure to consider. Mosquitoes in particular are notorious killers in emergency situations. They can rapidly spread viruses from one host to another and often with devastating effect. A canister of bug spray or a cream will weigh less than a pound and can save you a ton of problems while bugging out. Even having spent the last several years of my life writing survival and how-to live off the grid guides. I can’t possibly remember everything. This is especially true for plants and edible herbs and roots. There are list upon lists of plants, insects and herbs that can be used as food or medicine in the wild. This information could prove to be extremely valuable in certain situations. Keep at least a pocket survival guide with you in your survival kit. The information in this guide should include edible plants and their medicinal properties. What these plants and herbs look like and how they should be used. Basic trapping and fishing information can also be of value and any medical field guides as well. Readily available information should be number 1 on the bug out bag checklist as it will be an invaluable source of power over your elements while bugging out. Ideally, you will have a portable device that can store and index easily accessible survival information. A modern cell phone can store thousands of books on survival. With a spare battery or two this information can easily become ready when you need it and will last several days if you only use the power sparingly. Believe it or not this was definitely in the top 5 of items discussed in survivalist boards, blogs, and websites when talking about items forgotten in a bug out bag. Although this item was certainly the most ridiculed on this list, the discussions actually changed my opinion on their usefulness in a survival situation. When making your bug out bag checklist consider throwing in a few non lubricated prophylactics… Just in case. While there was a lot of back and forth discussion about the value of water purification tablets in a long term bug out situation. 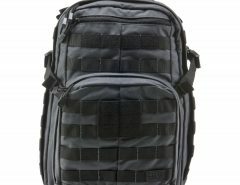 Short term they are universally valued and deserve a spot on the bug out bag checklist. In a short term bug out you can still run out of water very rapidly and may need to seek out sources of water that can carry life a threatening bacteria or virus. In the short term iodine purification tablets can save time as well as a stomach virus or worse. Be careful if you have an allergy or heart problem when using these tablets though. The horrible taste of iodine-treated water can be reduced by adding small amounts of ascorbic acid (vitamin C) to neutralise the iodine. Clearly this should be done only at the point of use. This is effective against a wide range of organisms, except for amoebic cysts, Giardia and Cryptosporidium. The effectiveness of chlorine is reduced by a number of factors which may not be easy to control, such as alkaline water, very cold water or the presence of large pieces of organic mater which means prior filtration is needed. Puritabs tablets are the most widely available method of chlorination and one tablet of the maxi size will treat a few liters. For larger tanks some survivalists prefer to use a substance called chloramine T, where a small amount is added to each liter of water. Treated water should be left for at least half an hour before drinking and longer if it is very cold. Taste can be removed with sodium thiosulphate. This will inactivate the chlorine so it should be added by individuals only at the point of use, i.e. to a drinking cup. It should never be added to a storage receptacle such as a canteen or jerry can. Micropure tablets contain a substance called Katadyne silver which is not effective against Amoeba, Giardia or viruses. It does not have a bad taste and it is claimed to be able to prevent re-contamination of water for several days. Micropure tablets should not be added to water previously treated with chlorine or iodine. This rounds out my list of the top items forgotten on a bug out bag checklist. I will update this article as other information becomes available or more relevant with time.